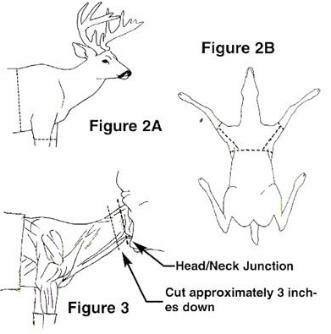 How do I cape my deer for a shoulder mount? can't add what isn't there! How should I prepare an animal for a life size mount? leaving the skull intact. 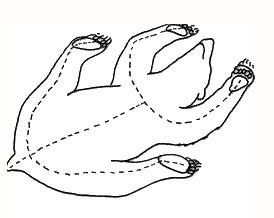 Paws/hooves can be left intact as well. What kinds of animals does Amy's Animal Art accept, and what is not accepted? and half body mounts. I also can do accessories such as deer foot gun racks, lamps, etc. I DO NOT do birds, fish, or reptiles. Do you work on domestic pets? Yes and no. I get many calls about this, and I would like to address a few issues. you feel about having your pet mounted. produces a more natural mount with less chance of the expression seeming wrong. I'm not local, but could you still do work for me? fox-sized animal this will generally run around $100-150. I found a dead ____________ on the road. Can you mount it? deer found dead during the summer time) it is NOT legal to possess. I get a lot of calls about owls, hawks, and other birds of prey. First off, I'm not a bird taxidermist. or if I know someone who can. Leave them alone - it's the law! What forms of payment do you accept and is a down payment required? of the mount. This "payment plan" is very helpful for those on a budget or purchasing a large mount. All major credit cards, cash, and checks are accepted for initial deposits. Checks may be accepted for final payment only by established customers.